NEW YORK (JTA) — When Rabbi Edward Shapiro got the call on a recent Thursday night that a Jewish man had died in Minturn, Colo., he knew he was in for a challenge. Digging a grave 30 miles away in Leadville, which at above 10,000 feet is home to what may be the highest altitude Jewish cemetery in North America, was not going to be easy amid heavy snowfall. And with the death having occurred less than 24 hours before Shabbat, Shapiro doubted the body could be prepared for burial and a grave readied in time. 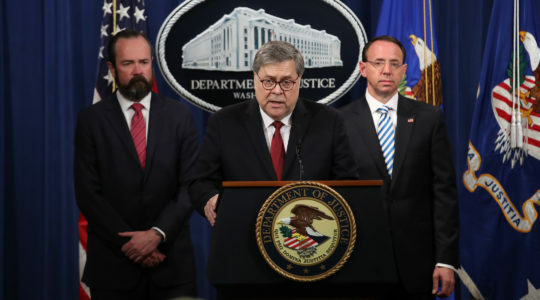 “Both cases were right,” said Shapiro, also known as Alter Shmuel. It would take 18 hours from the time of notification to prepare the grave in Leadville’s 120-year-old Jewish cemetery, with several feet of snow on the ground and several more feet of frozen ground underneath. The burial took place early Sunday afternoon. 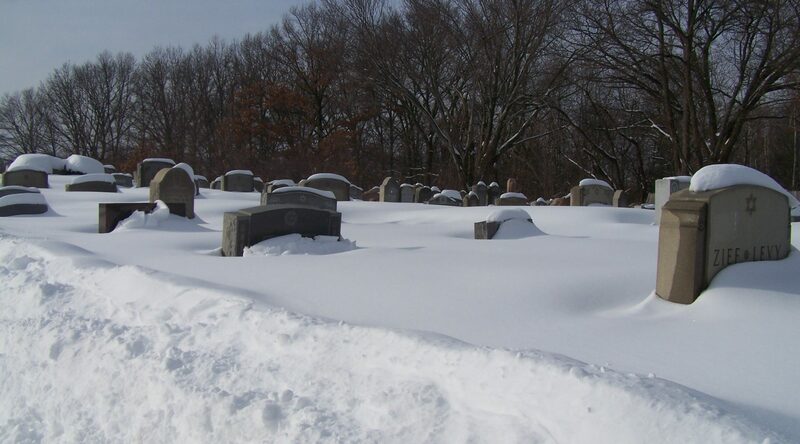 But in parts of the United States less accustomed to heavy snowfalls, the record accumulations this season are causing serious challenges for Jewish funeral directors accustomed to the speedy interment required by traditional Jewish practice. So delicate, in fact, that visitation at the 105 cemeteries managed by the association has been suspended indefinitely both to prevent injuries and ensure what limited access is available is preserved for funeral processions. Kaplan said there have been no serious delays yet due to the weather, but the need for specialized equipment to dig graves and remove snowfall has pushed his budget to the breaking point. “The bottom line is just finding the financial resources to buy the necessary services that we need to keep the gates open,” Kaplan said. In New York City, the heavy snows have caused repeated delays in burials — most dramatically following a massive storm on Dec. 26 that caught the city’s administration unprepared and prevented the Hebrew Free Burial Association from conducting interments for three days. Amy Koplow, the society’s executive director, said the situation has been complicated further by the breakdown last week of the excavator used to cut through snow and ice and dig out the graves. “It just flat out, pardon the expression, died,” Koplow said. Last month broke the record for snowfall in New York City in January, with 36 inches of accumulation. Not all snow-struck areas have been equally challenged. In Rochester, N.Y., the availability of heavy equipment and experience dealing with harsh weather has prevented serious delays, according to Rabbi Pinchas (Philip) Goldstein, the secretary and treasurer of the local Jewish burial society. Some places with smaller Jewish populations have just been lucky: There were no deaths during the worst weather spells. “We’ve been fortunate,” said Rabbi Abraham Reisman, chairman of the Alliance of Orthodox Congregation Cemeteries in Springfield, Mass. Historically, in colder areas, graves often were dug before winter set in, then filled with sand or woodchips to ease later excavation in freezing weather. That’s the policy employed by the Hebrew Free Burial Assocation at its cemetery on Staten Island. But in cases where individuals want to be buried in family plots or near loved ones, such preparations are impossible. Shapiro recalled that when his grandmother died during the Boston blizzard of 1978, a record nor’easter that dumped 27 inches on the city, having a grave dug was less of a challenge than transporting the casket from the road to the grave. The family wound up lashing the coffin to a sled. “The pallbearers pulled and pushed a sled instead of carrying it on their shoulders or at their side,” Shapiro said.